Types of Glass Available in Market & their Architectural Features! Glass practically acts as a magical material, which has so many different properties, and it can be altered very easily to produce different types of glass. It is an invention of human which meets almost any imaginable requirement. Nowadays glass is used extensively in construction industry in windows, doors, façade, interior partitions, balustrades, railings for stairs and balconies, etc. There are many different types of glass with different appearance and properties, which can be used in various applications. Here we have given brief information on various types of glass and their application, which a homeowner must know before buying. It is clear and transparent annealed glass. Clear glass usually has a natural greenish hue or colour. It is used in doors, windows, solar applications, shelves, etc. It is also used for further processing to other glass types. The body-tinted glass is float glass in which melted colorants are added for tinting and solar-radiation absorption properties. This type of glass saves energy, reduces heat penetration into buildings and gives a striking visual effect. Tinted glass is an important architectural element for the exterior appearance of façades. It is a decorative and translucent glass with textures or patterns on one face of the glass for diffusing light and obstructing visibility from the outside. Patterned glass is useful for providing privacy to interiors of the house, thus extensively used in exterior windows and bathroom windows. 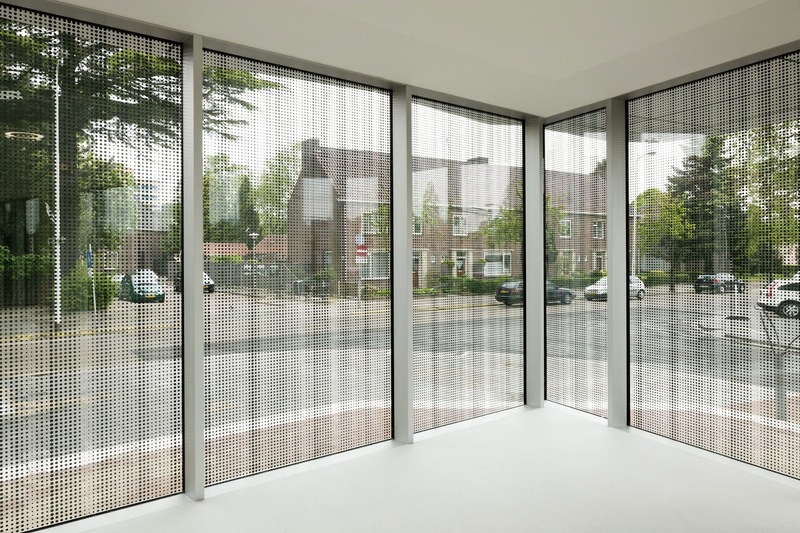 Wire mesh is inlaid in the glass to protect from shattering and breaking out under stress. Wired glass is low cost fire resistance glass hence it is used to protect against the harmful effects of smoke and flame. Extra clear glass is a high quality glass which is free from impurities such as iron. It is used for making tabletops, in the showroom of jewelry items, watches, crystal ware items, fine fabrics and art wares item, etc. for a sparkling display. Solar control glass is a special oxide coated glass which transfers less amount of the heat in the building and also helps in reducing the glare of light entering. For tropical countries like India, this type of glass is very suitable as it helps in reducing the amount of air-conditioning required. It is used in skyscrapers as glass facades in modern buildings, conservatory roofs, air conditioned malls and showrooms, etc. 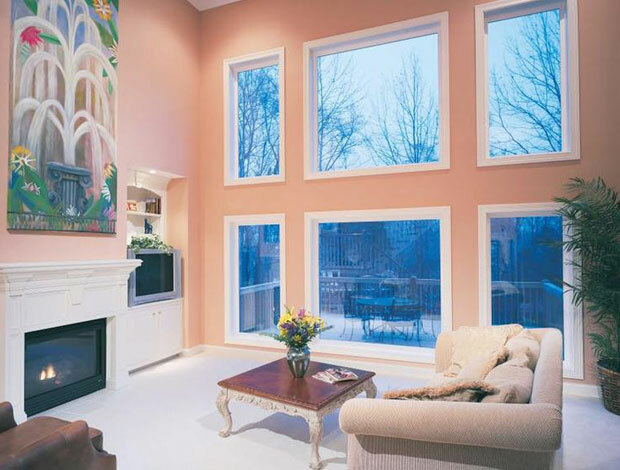 Low emissivity glass commonly known as low-e glass has excellent thermal insulation properties. It allows only visible light to enter the room and thus gives protection from UV and infrared rays. In cold climates, they help in maintaining the temperature of interior, and provide energy efficient solution. For facades, which are in direct contact of sunlight, only low e glass cannot be used, as they will trap the heat inside, leading to overheating of interiors. In such case, solar control low e glass is used, which blocks solar radiation, as well as provides thermal insulation. An interesting example of its application is Bhurj Khalifa, where this glass is used to decrease the air conditioning cost. It is also known as heat proof glass or sound proof glass or bullet proof glass or insulating glass or safety glass. Laminated glass is made by sandwiching a layer of polyvinyl butyl between two or more layers of glass. Laminated glass is used in skylight glazing and automobile windshields. It is also used in exterior curtain walls and windows, balustrades, guardrails, etc. Toughened glass is also known as tempered glass. It is a strong glass which is heated to a uniform temperature and rapidly cooled to increase the strength. It is stronger than the normal glass of equivalent thickness hence it is used for safety and strength. Tempered glass is used in commercial applications where wind, snow or thermal loads exceed. It is used for escalator side panels, handrails, balustrades, staircase handrails and viewing partitions of sports complexes, resorts, and airports, etc. Heat strengthened glass or heat treated glass is processed with heat treatment for durability and safety reasons. Its mechanical strength is twice that of normal annealed glass and half of fully tempered glass. Heat strengthened glass is used for structural glazing as they safeguard against thermal breakages. Reflective glass also called mirror glass imparts a mirror like an appearance and wide palettes of colours to the exterior of buildings under daytime conditions. A coating of metal oxide is applied to one side of the clear or body tinted glass in order to increase the amount of reflection by the glass. Reflective glass is used in office and high rise building doors and windows for privacy. The insulated glass unit is a prefabricated unit made of two or more glass panes which are separated by cavities filled with dry air. They provide excellent thermal and sound insulation properties. Insulated glass units are used in office buildings, hospitals, hotels, houses and buildings with high heating or cooling requirements and also buildings that need the temperature and humidity controlled such as telephone exchanges, airport control towers, and other environments that need regulated atmosphere and prevention of condensation. Ceramic printed glass or ceramic frit glass is also known as silk-screened glass for its appearance like a silk screen. Ceramic printed glass is used when it is important to mask a part or whole of glass for privacy or hiding the background. It is used for curtain walls, shower installations, glass doors, spandrels, and partitions, stair rails, conference room, etc. Lacquered glass also known as back painted glass (BPG) is obtained by painting the back surface of the glass with high quality paint. Generally, they are always viewed from the front surface which is not painted. 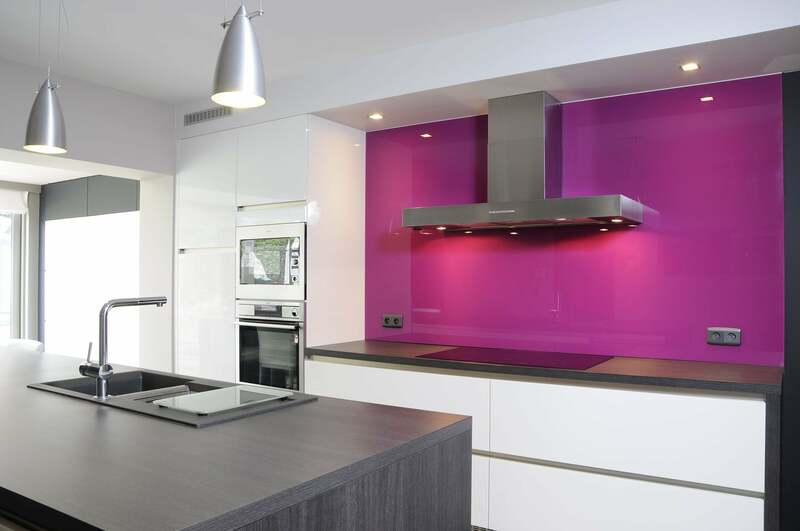 Back painted glass is extensively used in architectural spandrels, contemporary cupboards, furniture, kitchen countertops, backsplashes, washrooms of cinemas, hotels, restaurants, etc. Frosted glass has a translucent or obscure surface, rather than transparent surface in float glass. One surface of the glass is etched and has a rough finish, through which diffusion of light occurs. Frosted glass is used as a decorative glass where privacy is required, such as shower cubicles, conference rooms, office partitions, windows and doors of bedrooms, dressing rooms, etc. Nowadays glass has become versatile material to meet many special requirements in engineering. Properties of glass are suitably changed by changing the chemical composition of principal constituents and adding few more ingredients. Soda lime glass is also known as soda ash glass, soda glass, commercial glass or soft glass which is obtained from the fusion of a mixture of silica, lime, soda and alumina. It is widely used for glazing of doors, windows, and for making ordinary glass wares. It is also known as hard glass, or Bohemian glass. Potash lime glass is similar to soda lime glass except that soda is replaced by potash. It is used for making laboratory apparatus and combustion tubes. It is also known as flint glass or lead glass. It is obtained from the fusion of a mixture of silica, lead, and potash. Lead glass is used for high quality glassware, cut glass, bulbs, lenses and prisms. Borosilicate glass is also known as Pyrex glass. It is obtained from the fusion of silica, borax, lime, and feldspar. Borosilicate glass is used for making laboratory equipment and cooking utensil since it can withstand high temperature. Common glass also known as bottle glass is prepared from cheap raw materials like sodium silicate, silicate, calcium silicate. It may be green, brown or yellow in colour. Common glass is mainly used in the manufacture of household and medicine bottles. Glass is a versatile material and can be used effectively in interior as well as exterior of the house. Decorative glass such as ceramic printed glass, frosted glass, lacquered glass, patterned glass, tinted glass, etc. can be used in interiors to create an astonishing look. High performance glass such as solar control, solar control low e and low e glass can be used in commercial construction for achieving energy efficient structures. Glass is available in many aesthetically pleasing designs, styles, visibility criteria, and durability criteria offers virtually limitless design possibilities.